Experience the 2014 Harvest with an inside view of Sonoma Valley’s World-Class Wineries! Each excursion includes behind the scenes visits to four different wineries, chauffeured transportation, lunch, and a truly memorable wine country experience. 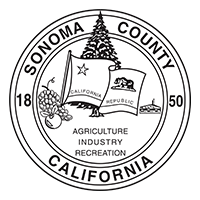 All excursions run from 9:30am-5:00pm, and depart from downtown Sonoma at 20000 Broadway, Sonoma. Tickets are $110 per Person and advanced purchase is required. » Be the first in line for 2015 – Subscribe now! A glimpse behind the curtain! Exclusive access to wineries not usually open to the public. A special behind-the-scenes tour from the crush pad to the barrel room. Amapola Creek is Richard Arrowood’s estate winery. Richard has been making wine exclusively in Sonoma for 49 years, his ultra-premium winery is housed in a state-of-the-art facility designed to produce just 3,000 handcrafted cases annually. The 100 acre estate, includes 20 acres of vineyards that range from 350 to 1,000 feet above the valley floor on a western-facing slope of the Mayacamas Mountains. Your visit to Amapola Creek will include tastings of the Estate Vineyard Cabernet Sauvignon, a Rhone style blend named “Cuvee Alis”, and a lovely Rose. Join vintner Jim Kuhner for a tour of the Durell Vineyard Ranch House Block and experience firsthand the unique micro-climate and soils of this storied site. Next enjoy a sit down tasting of Dunstan Wines from multiple vintages. Wines will be paired with Della Fattoria breads from Petaluma and cheese from Epicurean Connection in Sonoma. Your visit will begin at the historic Cabernet Vineyard on Sonoma Mountain. You’ll take a short walk through the vineyard with winemaker Randall Watkins, followed by a visit to the beautiful new tasting room in Glen Ellen, where you will enjoy a vertical tasting of Laurel Glen’s internationally acclaimed Cabernet Sauvignon. Experience this small mom and pop operation in full swing. Join Squire and Suzy Fridell at their private estate and home as they take you through the amazing wines for an afternoon filled with beautiful views, fun facts, and great wine. Full tour of the winery, followed by a visit to the beautiful vineyard overlook. Immerse yourself in the history of Sonoma Valley, the birthplace of California winemaking. Taste remarkable wines that reveal both the Valley’s storied history and promising future with every sip. Following in the footsteps of his grandfather, Emilio Alchera, who brought the family tradition from Italy to California in 1935, owner Michael Muscardini shares his passion for creating handcrafted, small lot Italian-varietal wines from some of the best vineyards in the Valley, including the famous Monte Rosso vineyard. Michael will guide you through an exploration of these alternative varietals from Barbera and Sangiovese to the ever popular Italian table wine blends. Great sparkling wines are primarily made from Pinot Noir and Chardonnay, and on this visit you will discover the steps taken to produce award-winning sparkling wine using the traditional methode Champenoise process. As you walk through-out the winery from production and bottling to an overlook of our main cave, you will gain an appreciation for the rich history of Gloria Ferrer Caves & Vineyards. Owner and Winemaker Bart Hansen has been working in the Sonoma Valley wine industry since 1986. Inspired by the birth of his son in 2007, Bart founded Dane Cellars naming the winery after his newborn baby, Dane. Guests will learn firsthand about Bart’s approach to wine making that champions quality at every stage of the process. There will be ample opportunity to sample his current efforts including small-lot Zinfandel and Cabernet Sauvignon. Experience the lively atmosphere of Harvest in Sonoma Valley. Experience firsthand the journey that Sonoma Valley’s World Class Wines make from vineyard to bottle! The historic Madrone Vineyard Estate, originally planted in 1863, has been producing world-class wines in the heart of Sonoma valley for over 150 years. Enjoy a private tour and tasting of the historic property including its exclusive small lot collection, and Madrone Estate offerings. Enjoy a private tasting and tour of our barrel room and sample some wine straight from the barrel. Learn the ins and outs of wine making as you see some of the harvest equipment used to make our delicious wines. Welcome to the heart of our winery – the cellar. At Tin Barn Vineyards, we’re as passionate about the process of winemaking as we are about the finished wine. As we wrap up another bustling harvest season, join winemaker Michael Lancaster for a private tour. Enjoy his seasoned insight on the creation of small-lot wines, with a focus on the blending of our Cabernet Sauvignon. In Sonoma Valley, the time required to craft wine is counted in generation—visit with some of the great family wineries in the Valley proudly carrying on the winemaking traditions of past generations. Join the Beltane Ranch Family – who have lived and farmed the ranch for six generations – for a fascinating taste of this dynamic property. Built in 1892 by the legendary Mary Ellen Pleasant as vacation lodging, the Victorian ranch house overlooks estate vineyards, gardens, and orchards. Beltane currently produces it’s own Estate Sauvignon Blanc and Zinfandel as well as Estate olive oil, grass-fed beef, heirloom produce and eggs from heritage breed hens. Enjoy the property’s excellent wines, views and stories in the company of the fourth, fifth and sixth generation owners! Mayo Family Winery has been a family owned and operated winery since 1993. Started by Diane and Henry Mayo and their son, Jeffery, it is truly a relaxed family run place. Enjoy a private tasting and tour of our barrel room hosted by Mayo Family members. Some of the Mayo family dogs might even be on hand to extend a friendly welcome! Get an in-depth look at the Benziger Family’s Biodynamic Estate with family members as your host. You’ll enjoy a behind-the-scenes vineyard tour and an exclusive seated wine tasting while hearing stories of this multi-generational Sonoma Valley Wine Family. Hamel Family Wines not only has family in the name, but also in every other aspect of the business. The Hamel Family is excited to guide you through a tour and tasting at their brand new facility in Sonoma Valley! Join Master Sommelier Christopher Sawyer for a day full of sniffing, swirling and tasting! Get a professional perspective on the world-class wines of Sonoma Valley! Offering spectacular views and world class wines, Beltane ranch was originally planted in the 1870’s by a pioneer viticulturist. The ranch currently produces estate Sauvignon Blanc and Zinfandel as well as Estate olive oil, grass-fed beef, and heirloom produce. Chris Sawyer will guide you through a tasting of the current offerings alongside the property’s fourth, fifth and sixth generation owners. Enjoy a private vineyard tour and vertical tasting with Bill Canihan, founder & proprietor of Canihan Family Vineyards. Canihan practices organic vineyard management, dry-farming, cane pruning, and hand-harvesting. Bill oversees the vineyard as well as wine production, choosing to ferment with naturally occurring native yeasts and refusing to fine or filter. This Old World philosophy yields deeply expressive, flavorful wines that truly reflect the local Carneros terroir. Michael Muscardini, owner and winemaker, shares his passion for creating handcrafted, small lot Italian-varietal wines from some of the best vineyards in the Valley, including the famous Monte Rosso vineyard. Michael and Chris will guide you through an exploration of these alternative varietals from Barbera and Sangiovese to the ever popular table wine blends. Experience the cool coastal climate of the Los Carneros Appellation. Feel the breeze come off of San Pablo Bay while enjoying the exceptional cool-climate wines from this region. Enjoy a private vineyard tour and vertical tasting with Bill Canihan, founder & proprietor of the Canihan Family Vineyards. Canihan practices organic vineyard management, dry-farming, cane pruning, and hand-harvesting. Bill oversees the vineyard as well as wine production, choosing to ferment with naturally occurring native yeasts and refusing to fine or filter. This Old World philosophy yields deeply expressive, flavorful wines that truly reflect the local Carneros terroir. From the moment you arrive through the gates of Gloria Ferrer Caves & Vineyards, you are entering a very special place. Established more than 25 years ago, Gloria Ferrer was the first sparkling wine house to be built in Carneros, but its history goes back much further. Learn about the artistry and process of winemaking, the Carneros appellation, our sustainability practices, and what makes our wines truly special. Experience the excitement of harvest at Schug with winemaker Michael Cox as your host. Witness firsthand the micro-climate influences unique to Carneros while you taste the wines that are made in this very special place. Known affectionately as The Valley of the Moon, Sonoma Valley is both the name of the region as well its largest AVA. Nestled between Sonoma Mountain and the Mayacamas Mountain range this picturesque valley produces exceptional world-class wines. Anchored by a storied 1892 Victorian surrounded by gardens and overlooking the heart of the valley, Beltane Ranch produces estate, handcrafted Sauvignon Blanc and Zinfandel, Olive oil and more. With the guidance of the ranch’s fourth, fifth and sixth generation owners, you’ll taste all this dynamic property has to offer and enjoy the stories that make the legend. Enjoy a private tasting in our Reserve Room or on our outside patio surrounded by our Wild Oak Estate Vineyards. Enjoy superbly crafted wines while learning more about Sonoma Valley’s unique terroir and why the appellation is ideally suited for the production of world-class wines. The newest AVA within Sonoma Valley. Join the “Highlanders” for the breath-taking views and powerful wines of the Moon Mountain District. Private Tour and Wine Tasting at Stone Edge Farm Estate Vineyards and Winery. Experience the beauty and bounty of Sonoma Valley with a 45-minute guided tour of our stunning Silver Cloud vineyard property perched at 2000 feet in the Mayacamas range while discussing organic farming and our water and energy conserving practices. Then enjoy a relaxed sit-down wine tasting with a comparison of vintages and our signature wine Stone Edge Farm Cabernet Sauvignon. Thirty five years ago, Phil Coturri set out to prove that organic grapes simply make better wines. Beyond the health and environmental benefits, organic farming allows the terroir of the vineyard to shine. Named for the street address for the vineyard estate that surrounds his remote hillside home, Winery Sixteen 600 is Phil’s vision of wine from the vineyard to the wineglass. Frequently in and out of nearly every acclaimed vineyard in this new AVA, Phil is a walking encyclopedia on the Moon Mountain District. Kamen Estate Wines was established in 1980 by screenwriter Robert Mark Kamen, who purchased 280 acres of pristine wilderness on the Sonoma side of Mount Veeder with the check from his very first script sale. Robert has teamed with local viticulture legend Phil Coturri and renowned winemaker Mark Herold to produce intense but balanced, terroir-driven wines that are helping to put Sonoma Valley’s newest AVA on the map.